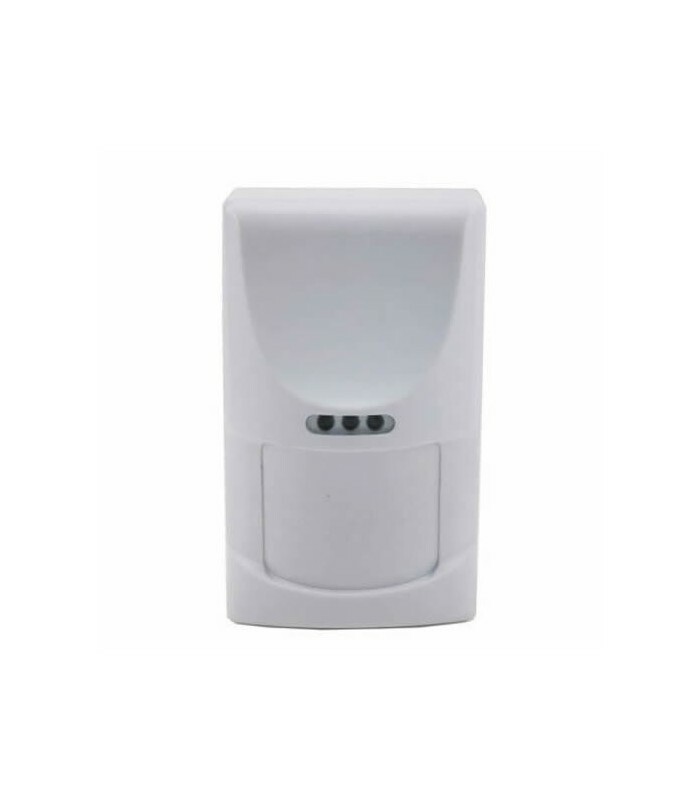 Passive motion detector wireless intelligent , dual element . Advanced processing technology consumption ( micro power) . This detector pir compensation technology uses bi -directional temperature, which can determine an intrusion detection in a very wide temperature range . Its unique form of calculation allows pets up to 20K weight are not detected thus avoiding false alarms . The dual technology allows further distinguish the movement of objects such as windows or curtains to sway not considering as intrusion. The ( Micro Power ) technology enables this detector has a low power consumption , allowing a battery has at least 2 years duration.